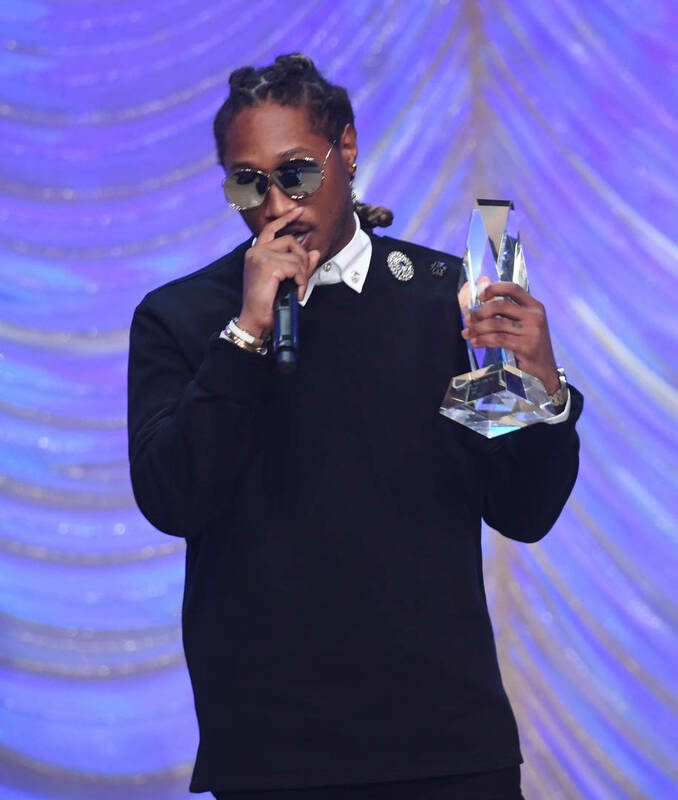 Future is fresh off the release of his sixth number one album on the Billboard 200, The WZRD. The album took the top spot on the chart after moving 126K in its first week. Additionally, the project produced six songs that add to Future's lengthy list of Billboard Hot 100 entries. Future's The WZRD has eight songs from its set that have made its way onto the Billboard Hot 100. The previously released singles, "Crushed Up" and "Jumpin' On A Jet" made leaps on the chart. "Crushed Up" moved from 59 to 43 while "Jumpin On A Jet" climbed from 80 to 57. Additionally, "First Off" with Travis Scott, "Never Stop," "Temptation," "Rocket Ship," "F&N," and "Call The Coroner" also made its way onto the chart. The six new entries help bring Future to 84 total Billboard Hot 100 entries. He has officially claimed the 10th most entries in the Billboard Hot 100's entries. He was previously tied with Taylor Swift for most entries on the chart. The recent entries also make him the rapper with the sixth most total songs on the Billboard Hot 100. Drake (192) is in the lead while Lil Wayne (161) trail behind him. Third, fourth and fifth go to Nicki Minaj (102), Jay-Z (99) and Kanye West (96). No. 100, "Call the Coroner"